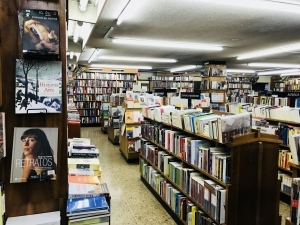 Daniel Osorio takes us on a tour of the best bookshops in Bogotá, Colombia. If there’s a bookshop that you think other students and academics should visit when undertaking research or visiting a city for a conference, further information about contributing follows this article. Bogotá, the fifth largest city in the Americas, is back on the radar of international travellers. After the dark days of the 1980s and 1990s, a remarkable urban renaissance and the consolidation of peace prospects in Colombia have persuaded foreign visitors (5.1m of them in 2016 alone, to be exact) to call on a dynamo city awash with cheerful people, beautiful mountain views, world-class street art and, of course, bookshops. Possibly the most traditional bookshop in town, Librería Lerner (Avenida Jiménez 4-35) was Salomón Lerner’s legacy to the city, a brilliant Jewish immigrant who opened the bookshop a few blocks away from its current location in 1958. Since then, Lerner has been the place to go for readers working or studying around La Candelaria (Bogotá’s old town). It’s not a giant bookshop, and once you get in you are caught by that rare sense of knowledgeable tradition that makes you wonder whether it’s better to leave the book on the shelf rather than take it away to buy: books seem to feel at home in the place. A special room is exclusively dedicated to Colombian literature and books about Colombia (quite a photogenic country, judging from the many photography books there). For those of you wandering in chic, northern Bogotá, a slick new branch of Lerner opened in 2016 at Carrera 11 93A-43, complete with a nice Colombian coffee shop. In 2008, a group of enthusiasts from the Colombian and Mexican governments, together with Mexico’s Fondo de Cultura Económica, turned a parking lot in La Candelaria into the massive Gabriel García Márquez Cultural Centre (Calle 11 5-60). The centre includes a coffee shop, exhibition spaces, a restaurant and the best new bookshop in the city. The architecture of the place is a highlight: the building was commissioned to award-winning Colombian architect Rogelio Salmona, and the bookshop was designed to embrace its curvy, red-brick structure. Naturally, Latin American literature in both Spanish and English features prominently here (there is a section fully devoted to García Márquez, the Colombian-born Nobel prize winner who died in Mexico City in 2014), and the graphic novel, photography and art collections are excellent. 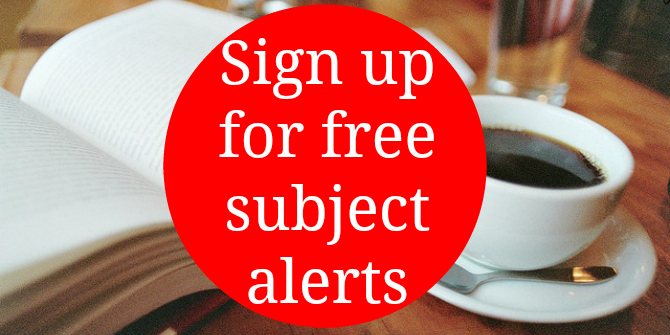 The bookshop hosts a year-round calendar of lectures on literature and Mexican-Colombian cultural activities. 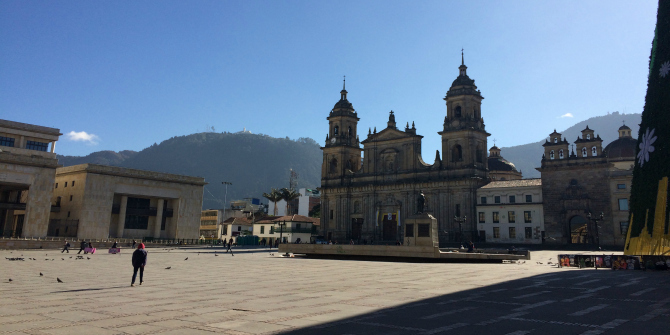 The city of Bogotá was founded in 1538, and in five centuries a lot of old books pile up. Turning west from Plaza Santander onto Calle 16 (the narrow passageway between the Church of the Veracruz and the Church of the Third Order), you enter what used to be the old books quarter, where you could find them all. Nowadays it’s mainly the haunt of pirate copies and DVDs, but one place manages to retain the magic of old: Libros Merlín (Carrera 8A 15-70) is a four-storey house where old books and magazines are literally everywhere: high up on shelves, down on the floors stacked in small towers (by author! ), on tables, on sofas, in boxes, in sideboards and on the stairs. Every floor, every room, has a different thematic structure. As in days long gone, the price of books is generally hand-scribbled in pencil on the back of the cover. 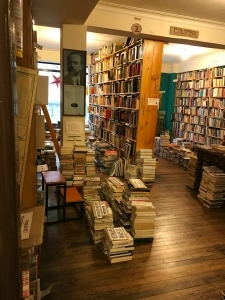 If you can’t find it, check with owner Célico Gómez downstairs, who can also give you a hand to find that extremely rare García Márquez first edition. Throughout all those dark years of the past, Bogotá kept working hard, playing hard, printing hard. Today, Colombia is the fourth largest producer of books in Latin America. The three bookshops reviewed here, as well as the many more you will discover around town, are a refined way to celebrate this tradition. Bogotanos have long enjoyed them; the world is catching up. At last. Daniel Osorio holds a Ph.D. in Economics from LSE and is currently the head of financial stability at the Banco de la República (the Central Bank of Colombia). He tweets @danielesosorio. Note: This bookshop guide gives the views of the author, and not the position of the LSE Review of Books blog, or of the London School of Economics. Thank you to Daniel Osorio for providing the images included in this guide. Do you have a favourite bookshop? If there’s a bookshop that you think other students and academics should visit when they’re undertaking research or visiting a city for a conference, then this is your chance to tell us all about it. 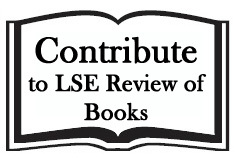 As part of a regular feature on LSE Review of Books, we’re asking academics and students to recommend their favourite two or three bookshops in a particular city, with the aim of building an exciting online series for our book-loving community of readers the world over. 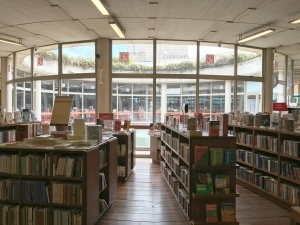 Bookshops could be academic, alternative, foreign language, hobby-based, secret or underground institutions, secondhand outlets or connected to a university. We’d like to cover all world regions too. 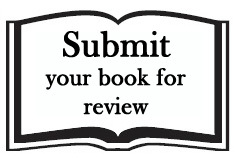 If something comes to mind, we’re looking for around 150 words per bookshop, detailing why each place is a must-see. Our editorial team can then find suitable photos and links to accompany the piece, though you’re welcome to supply these too. 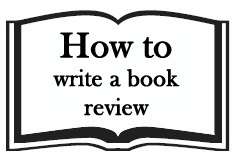 We only ask that you focus on just one city or region, and two or three bookshops within it.